Shazam! is a fan's movie. The DC universe fan or a comic book fanboy in general. The film is a minefield of clever placements of eastereggs and a whole lot of odes to our favourite superheroes. This is the aspect that truly fulfills the film's vision of being a for-all superhero film, that not only caters to general audiences' inclinations paved by the recent superhero wave, but also has enough grounding to be a solid movie away from the expectations of a film from the genre. Director David F. Sanderberg wastes no time establishing that a new DC Universe is upon us where creative freedom is king. As a horror director at heart, he's able to infuse his passions for the genre perfectly with what a kid would imagine a world filled with magic, monsters, villians and superheroes would be like. And this is the perspective that we should all use going into the film. The main supporting characters, alongside Asher Angel's younger Billy Batson (Shazam! ), are all dough-eyed kids who are still very rough around the edges and just simply trying to figure this earth thing out. Life is unfair, these kids find. There's bullying, there's feeling unloved and unwanted, there's wanting things so badly that you feel like you'll die if you won't, and there's just wanting to find answers. All of this exposition is where the film firmly plants its roots. We find that Billy and his group of foster siblings' struggles weigh into the final act where we see exactly what family and the meaning of life truly is. The film is simple and never wants to be anything other than what kids would want it to be. 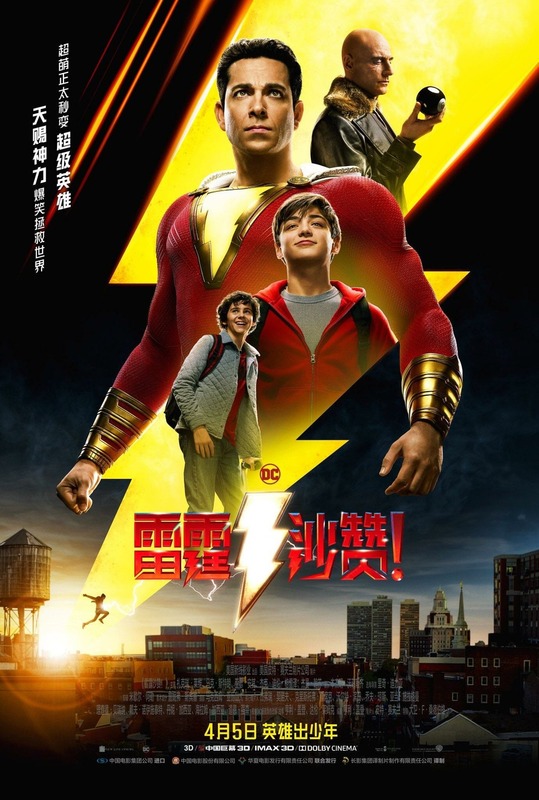 It's a fulfilling superhero adventure film with a lot of heart and belly-jiggling moments that will sometimes make you wish you were a kid again. Sandberg winks at adult audiences in glimmering horror moments that will make you tip over your pop-corn unexpectedly. The monsters (The Seven Deadly Sins) in this film are so ruthless and real when they have their moment on screen that my adult brain immediately wished for a more darker film. Had it been a tad bit more grimdark, we would've gotten one of the best comic book movie villians out of Dr. Sivana. Instead, it was apparent that Sandberg was hesitant about making him anymore malefic and broody than he already was with the care of kids in mind. So, ultimately, don't expect an adult film, or a film that has a balanced infusion of both adult content and moments catered to kids. This is an 80% children's movie told from the perspective of an adolescent, curious boy and his young siblings who are equally fascinated by the world around them. Especially when the magic and superpowering factor swiftly kicks in.